This level has easy difficulty and you need to use good strategy to complete this level. For this level you should try to play from the bottom to break the blockers and as you find the big pink wrapped fish then break snow near to it as it will give many small fishes that will help to break more snow and find the bears. 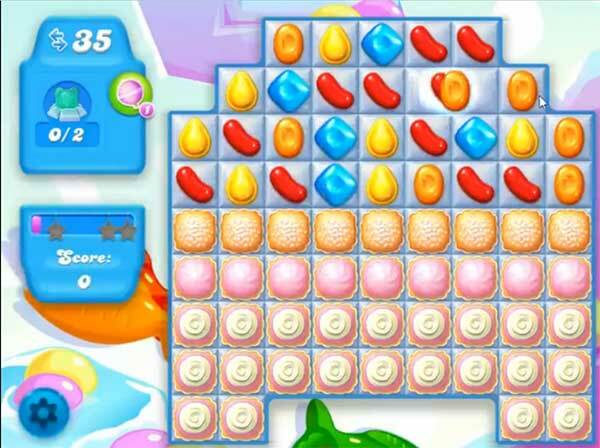 Or try to use special candies combo like wrapped candy with colorbomb to break more snow within less moves to reach the target. There is NO way to beat this lkevel. I’ve spent two months trying!!! No matter how well I do breaking things up the two bears atthe bottom will NOT come out! I’m so disgusted!! There is no way to pass this level, I’ve been trying for several weeks. It’s getting so very boring playing this level over and over. I think it’s time to Uninstaller this game.